"ATHMER, nothing can pass" has been our motto for more than 60 years. This is what we stand for and it is our challenge to see to constantly improve the design and technology of our seals for doors and gates. 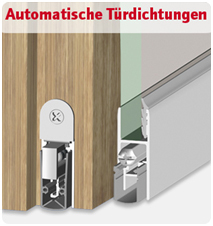 Over the years ATHMER trademarks such as Kältefeind ® and Schall-Ex ® have developed to be synonymous with automatic door seals as ATHMER is with finger protection on doors. Planners, builders, manufacturers and end users have confidence both in the quality of our products and in Athmer continuously developing solutions to offer a comprehensive product range.